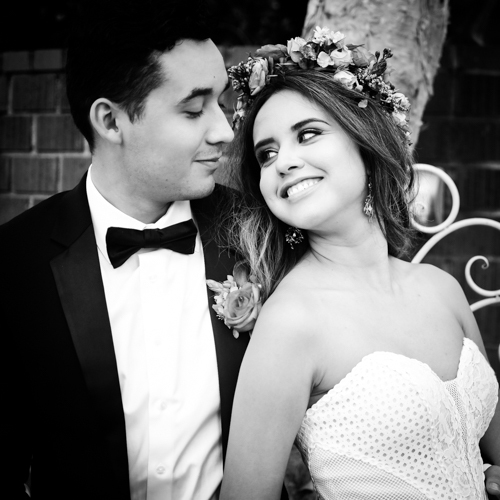 What Wedding Photography Style is Right for You? There are a lot of photography styles and terms out there. Want a little more insight into which might be best for you? Try this simple 7 question quiz! WOW! You guys look like models! This looks like the most fun day ever! This photo should be in a gallery! Fashion photography (also called 'editorial') is a style of photography that focuses on artistic or nontraditional posing, carefully crafted scenes, and dramatic lighting. This is the style you often see in fashion magazines and perfume ads. Lifestyle photography focuses on visual storytelling and aims to capture genuine moments with some direction and posing. Photos taken by lifestyle photographers will look effortless and natural, though the photographer has typically chosen specific locations and given the subjects some direction. Much like photojournalists covering news, wedding photographers who shoot in this style seek to capture the event naturally as it unfolds. Photojournalism style avoids posing and planning in favor of taking true-to-life, unscripted photos. Dramatic wedding photography utilizes artificial light, impressive locations, and intense—often serious—poses. The resulting photos are often gallery-worthy art pieces with a theatrical feel. Classic wedding photography typically mixes formal posed portraits with candid (unposed) event photography. You've most likely seen this style in old family photo albums. The resulting photos are timeless, no-fuss, and straightforward. Clean photo editing shows the colors and lighting as they'd look in real life. Vibrant editing starts with a clean base and then slightly boosts the intensity of the real-life colors. In both classic and dramatic editing, you'll see a lot of black and white and contrasting lighting. Classic editing uses traditional techniques to create a simple finished product. Dramatic editing starts with a classic base and then enhances lighting through more intense contrast (brighter whites and darker blacks) or HDR effects (showing more detail in brighter and darker areas). Light and Airy photos are brightly lit and have pastel coloring, often with greens that look a bit more blue. This 'faded' style can have vintage film quality. Dark and Moody photos tend to have a warm tones and less contrast, with darkened highlights and gray instead of black in darker areas. These photos look 'matte' as opposed to photos with typical contrast and the overall effect can be spooky and edgy. Keep In Mind: These terms are a great place to start searching, but not all wedding photographers understand these terms or use them correctly, so make sure a photographer's portfolio fits what you're looking for. And if you like a specific style of photo or editing, let your photographer know!